It Starts with one bowl. When you visit our many Great Khan's Mongolian Festival, your culinary adventure begins with the humble bowl. This bowl is your ticket to a feast of unlimited possibilities. Take your pick of delicious meats, fresh vegetables, tasty sauces and top it all off with savory Mongolian noodles. Take your masterpiece to our iron grill, where we grill up your creation into a meal worthy of a Khan. Mix and match to make your feast. We prepare our meats every morning so that you get the best in quality. Your choices include Chicken, Beef, Pork, Turkey and Shrimp depending on location and availability. If meat is not your preference, we have Tofu and other protein options as well. Our vegetables are sourced locally, washed and chopped in our stores every day so we can provide you with the most fresh, healthy and delicious vegetables for your meal. 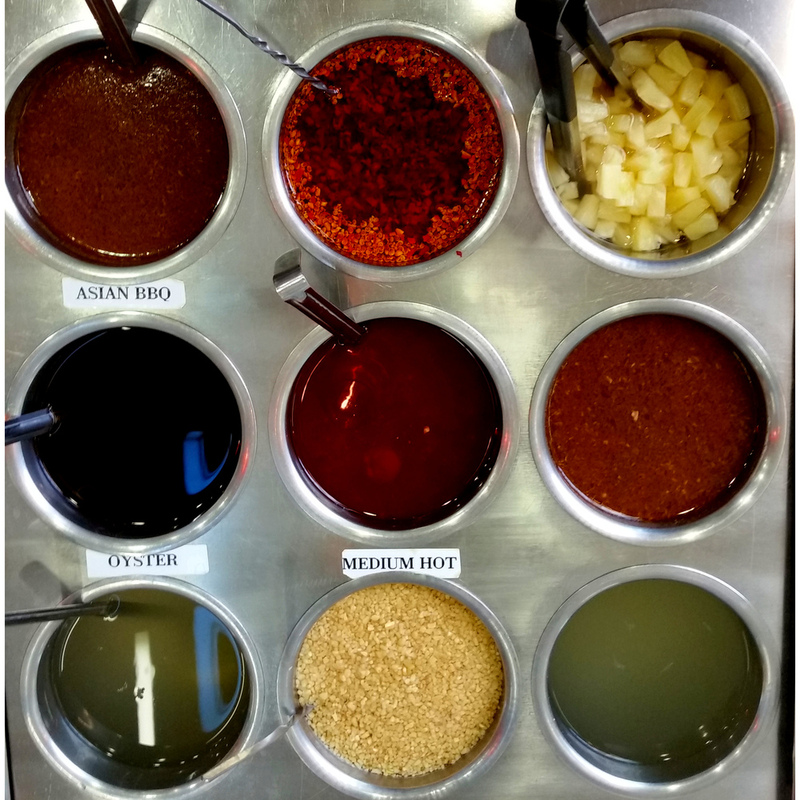 Customize your taste at our sauce bar. From Spicy chilli sauces to our special Mongol Sauce, there are endless possibilities and flavour combinations for you to chose from. Try something new each and every visit! This is where your masterpiece comes to life. 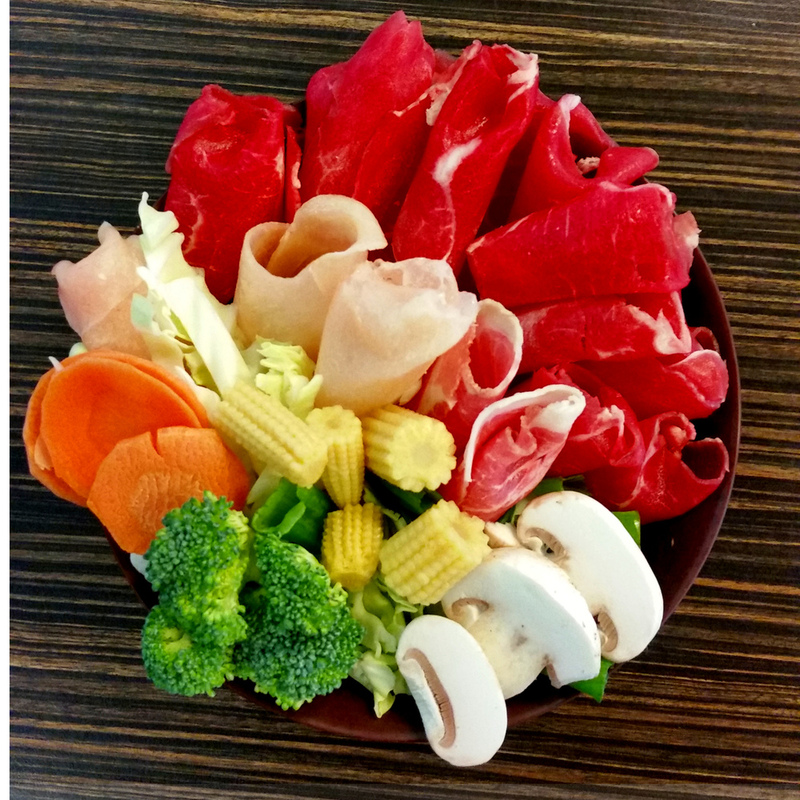 After you've loaded up your bowl with your choice meats, fresh veggies, savory sauces and mongolian noodles, take it to the iron grill where we turn those ingredients into a true culinary adventure. Our cooks will cook up your creation on our iron grill without any additional oil to give you a healthy and delicious meal fit for a Great Khan. With so many meal possibilities, we encourage you to try a new recipe every time you come back. Great Khan's Mongolian Festival. Your Bowl, Your Way.